This monograph will explore the genus Pedicularis, the plants often called lousewort or wood betony. It will give a wide overview of the genus as well as focusing on its use as a helpful skeletal muscle relaxant. And on an aesthetic level, this genus is one of my favorite plants to find. The various shapes and shades of leaves and the lovely twistingly curved colorful flowers. Yes, a beautiful group of plants. Pedicularis is derived from Pediculus the genus for lice. It seems this connection results from an old idea that when this plant was ingested by livestock, they acquired lice. Though as herbalists are well familiar, these tales become contorted over time and there may be a more believable story at its root. Or not. Either way one of the most common of its common names is lousewort, leading to an even more thorough connection to these insects, as a single lice is a louse. This is where the word lousy comes from. Interesting, eh? The genus Pedicularis is currently in the Orobanchaceae. It was formerly (and to some still) in the Scrophulariaceae. All the Scrophulariaceae that are partly or fully parasitic on the roots of other plants were moved to this family. The common name lousewort was already discussed, but what about wood betony? I do not use this common name as it is too often confused with Stachys officinalis (see photo), which are also commonly called wood betony (or just betony). The older name for Stachys officinalis was Betonica officinalis, so maybe a connection there. But instead of more speculation on this name, remember that there are two plants commonly called wood betony; Pedicularis and Stachys. And again, to avoid confusion, I will not be calling it wood betony here. 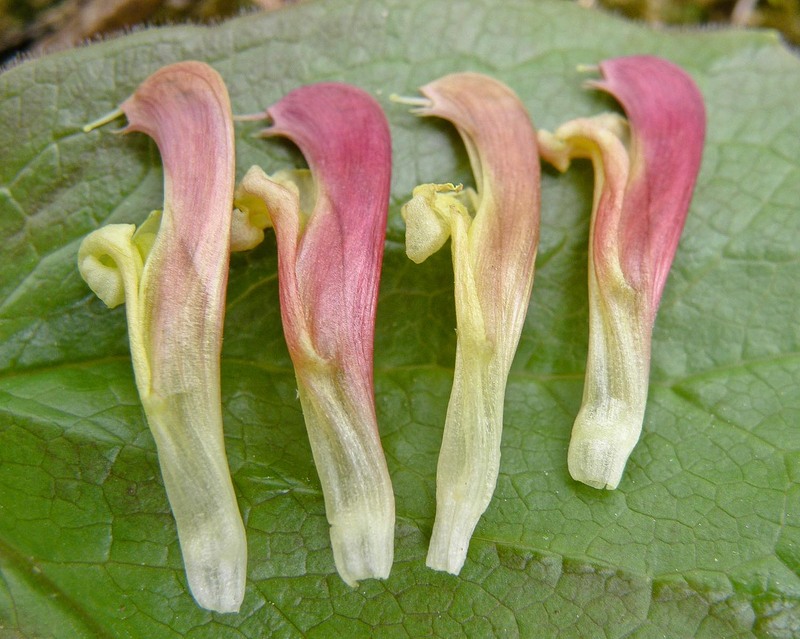 As there are a number of Pedicularis species, it is hard to generalize on how to ethically harvest them. Around upstate New York Pedicularis canadensis is usually found in spread out patches, and should usually be left alone. But in the Southeast it is much more common and if one spends time traveling and looking, they can usually find a patch or two to gather from. share with trusted friends. If teaching, instill the importance of ethical and sustainable harvesting to your students. I suggest all readers to go out and seek your local Pedicularis species. In the east there is Pedicularis canadensis (which sometimes sports a lovely shade of carmine, see photo). The Rocky Mountains seem to have the most species, and then a number of species westward. Some species are woodland dwellers and others grow in open marshy areas. 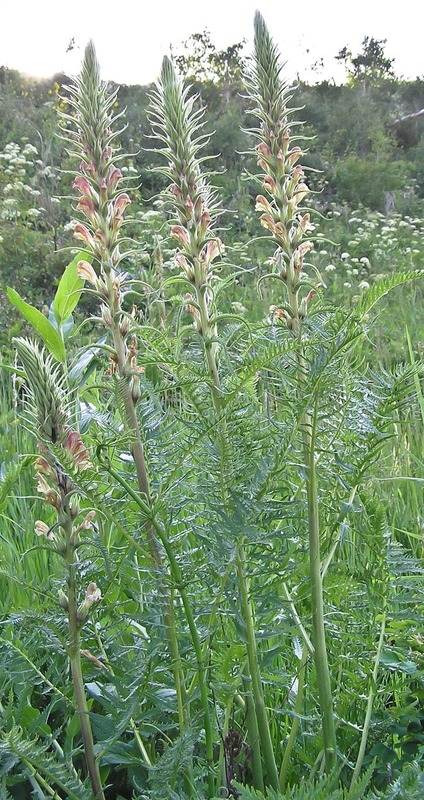 Pedicularis is a useful skeletal muscle relaxant. A quick review; skeletal muscles are those that you can generally move voluntarily (‘I am now going to look over my right shoulder’), and smooth muscles are those that are a part of your viscera and are involuntary, you don’t have to think about coordinating your gastrointestinal tract to propel food from one end to the other. I find it most useful for back pain, upper to lower. Now, this is not a narcotic, so it cannot remove all the pain associated with sore skeletal muscles, but by relaxing the tension it can decrease the need for stronger pain medicines. Also please remember that when pain is decreased, it does not mean that the underlying problem is resolved, and so caution is necessary to make sure one does not reinjure themselves (an all too often occurrence). Pedicularis is also useful for neck and shoulder tension. For massage therapists, giving this plant to particularly tight patients before working on them can be helpful. An advantage of skeletal muscle relaxants is that they do not dumb down one’s thinking and so can be taken throughout the day (with the consideration of not reinjuring). While I have outlined the back, shoulders and neck here, Pedicularis can be tried for any skeletal muscle pain. For medicine I have primarily used Pedicularis groenlandica (Elephanthead), the main reason is that it is one of the first I learned and find this species to be effective. But many other herbalists use a number of the different species growing around the US. And I am beginning to experiment more myself. Another advantage of Pedicularis is its general good safety record, negative side effects are uncommon. The most common is the medicine causing some ‘spaciness’ or mild disorientation. For some people this will be enough to warrant trying a different remedy, for others it can be helpful as it reduces their sensation of pain further. There is concern about this genus’s potential to pick up potentially toxic constituents from nearby plants. 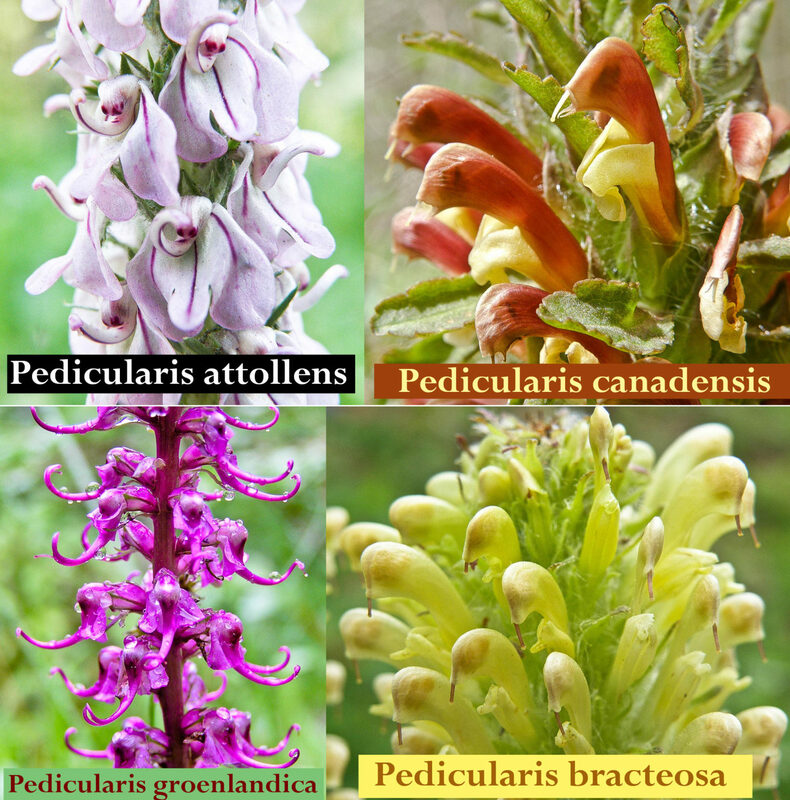 The reason is that Pedicularis is a hemiparasite and often obtains nutrients from nearby plants through its roots (though it does not need this association to survive). Some of the plants that it parasitizes do have potentially harmful constituents, such as the pyrrolizidine alkaloids from Senecio triangularis. There is clear proof that this connection exists (see links below), and so the question is what to do about this situation. I avoid gathering it when it is growing very near a toxic plant such as Arrowgrass (Triglochin maritima), but it is hard to know really what roots it is feeding on. My recommendation is to avoid gathering it near plants you know are toxic, say Aconitum. It is hard to know exactly how much Pedicularis medicine one would have to ingest and if the potentially toxic compounds are bioavailable. 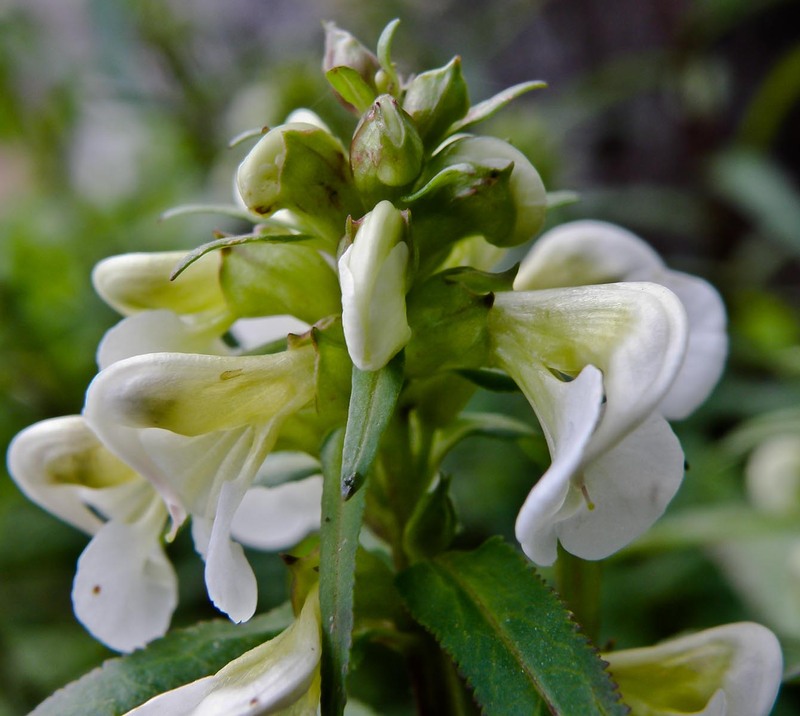 I have not seen this poisoning yet and I have worked with people who take large amounts of Pedicularis daily, however we are, as always, in an herbal learning phase and need to be open to possible consequences of the medicines we recommend. Pedicularis combines well with a number of other plants. 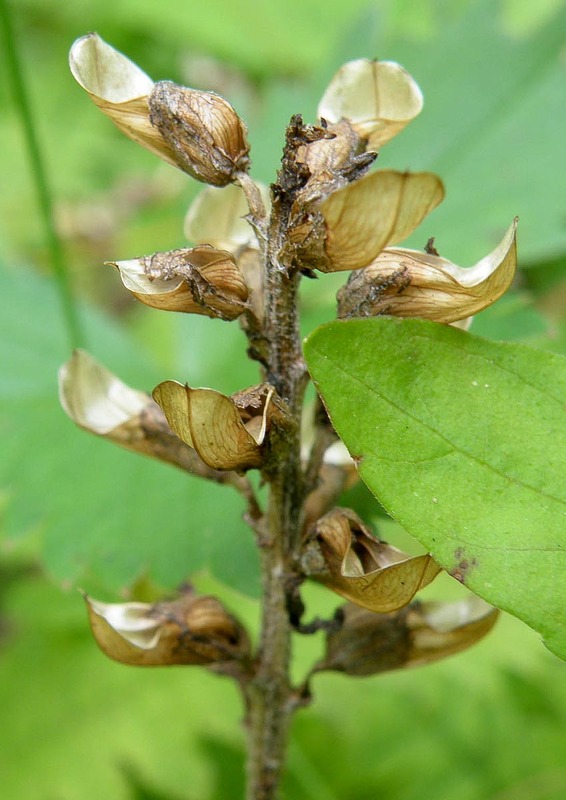 Other skeletal muscle relaxants include Black cohosh (Actaea racemosa, please be aware of side effects from this plant) and Skullcap (Scutellaria). Add antiinflammatories such as Arnica (small doses here), Willow (Salix) and Turmeric (Curcuma). And also use with anodynes (pain relievers) such as Wild lettuce (Lactuca), Hops (Humulus) and Valerian (Valeriana). One of my favorite combinations is equal parts Pedicularis, Black cohosh, and Skullcap in a tincture. If the injury is recent, than I might add 10 drops of Arnica tincture into a one ounce bottle of the above blend. I sometimes keep the anodyne herbs separate, especially if there is a lot of pain, so that they can take large amounts of the skeletal muscle blend without losing mental function and take a larger amount of the anodyne tincture to help with sleeping. I tincture Pedicularis fresh and use the aboveground parts when the plant is in flower. If the plant is very stemmy, such as with P. procera, I might take the leaves off the stem. 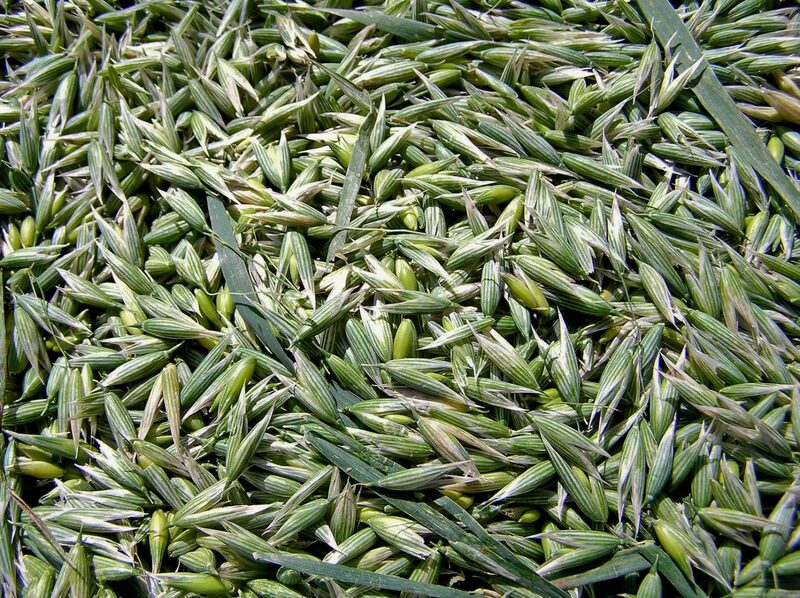 It is an easy plant to process as the tissue if very soft and easy to cut. I tincture it 1:2 in 95% ethanol. I have made an infused oil with the plant as well, but don’t feel experienced enough to know if it works. I chop the aerial parts and then dry and infuse them in extra virgin olive oil. I don’t often see unwanted side effects from this tincture. And as with all medicines, I have seen it not work, especially with intractable back pain. As I mention above some people experience some spaciness with the tincture. 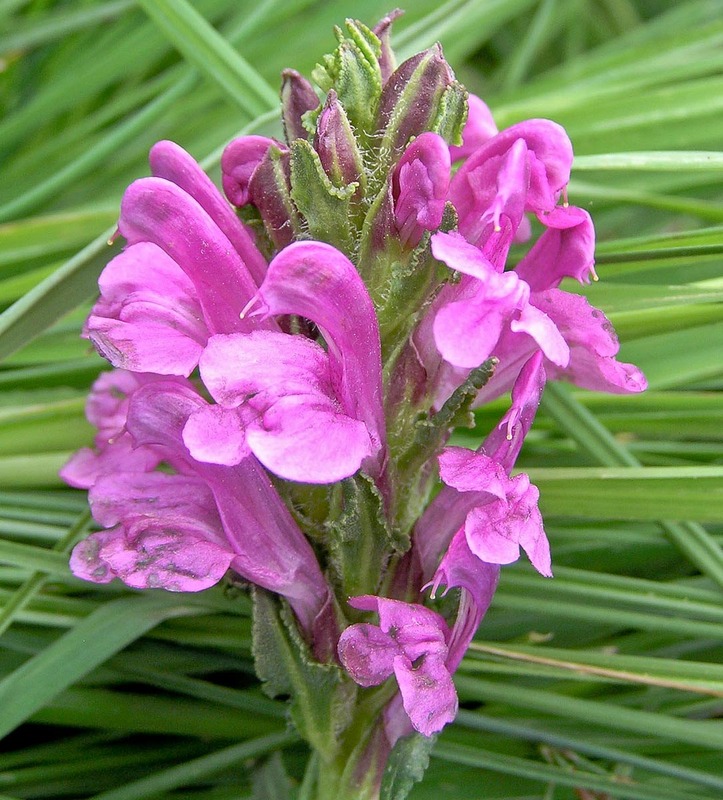 The effects of Pedicularis are often felt soon after taking the tincture, so try a few drops, wait a minute or three to see if it is helpful or creates this or other undesired effects. Dosage is a matter of quantity and frequency. With Pedicularis, it is important to experiment with both. Some people will find helpful something like 1 dropperful (1.25 ml) every 3 hours or so, while others may do better with a half dropper (.60 ml) every hour or more. And yet for other people, they may do best with large quantities such as 2-3 dropperfuls (2.5-3.75ml) whenever they feel the pain coming on. Help your patients learn to experiment with dosage, offering them some guidelines depending on their health issues and constitution. Pedicularis species are a valuable medicine for the practicing herbalist’s remedy kit. They are a useful skeletal muscle relaxant with minimal side effects. It is a lovely plant to get to know and watch where it grows. 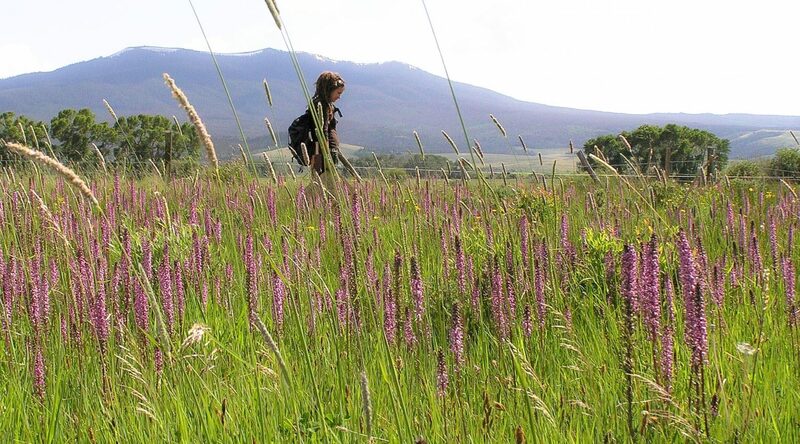 Spend some time around a local species to appreciate its beauty and charm. This is a rough photocopy of the above article. A non-technical article– a discussion on the environmental considerations for the plant and its parasitism, and a quick note for herbalists. 19 Responses to "Pedicularis (Lousewort) Monograph-Pedicularis as a Skeletal Muscle Relaxant"
Thank you, 7Song! Excellent monograph on Pedicularis. Thanks again 7Song!! 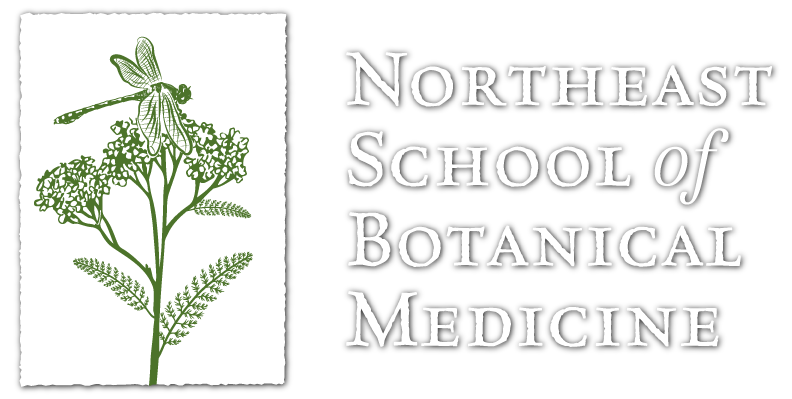 I especially appreciate the note about combining Pedicularis with other herbs as well as further resources for continued research !! Thank you Claudia, you are a most appreciative person, and I appreciate your appreciation. I got a one oz. bottle of pedicularis from five flavor herbs at TWHC this past summer and it’s been on my mind lately. I was really glad to see you wrote a monograph on it. I wasn’t sure about the dosage before and had never taken more then a few drops here and there but since I’ve been clenching my shoulders and jaw a lot lately I definitely feel more confident to work with the dosage esp. in conjunction with the skullcap I’ve been using. You’ve got a great blog, Ireally enjoyed it. Thanks 7song! Gorgeous photos 7Song, and one of my favorite herbs, thanks to you and Michael! Thank you Juliet, and thank you for putting me and Michael in the same sentence. Thanks and appreciation from myself as well. I love this plant. I usually find that it (P. canadensis is the only one I’ve tried) makes me very drowsy, however – I was surprised you didn’t mention that. Am I an anomaly? Well, you surely are anomalous Robin, though with Pedicularis as well as other skeletal muscle relaxers, drowsiness can be an effect. 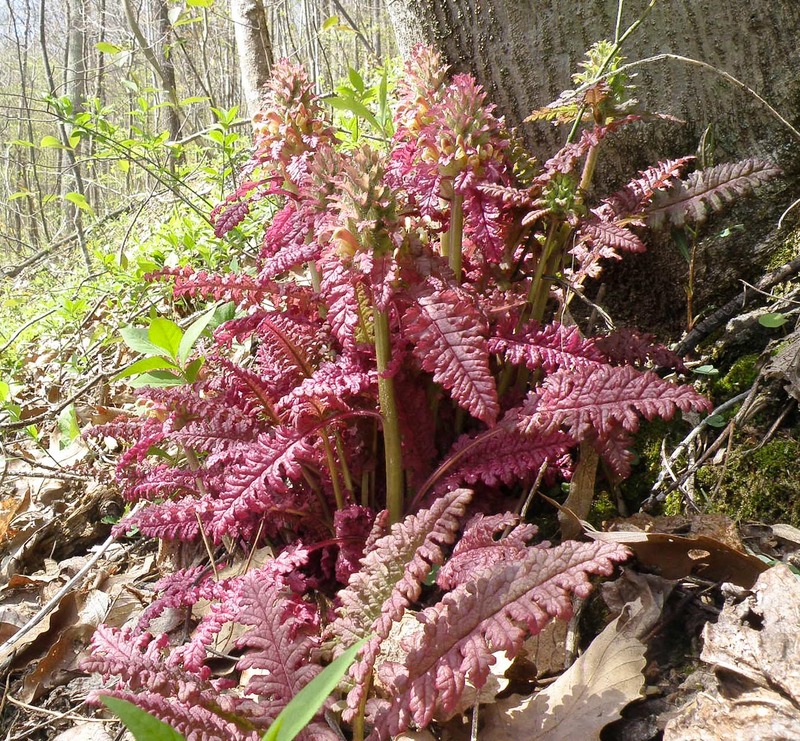 Do you know if pedicularis is safe in pregnancy? I took it during my own pregnancy (based on instinct and anecdotes), but before I recommend it to others, I’d like to check it out further. I bought Pedicularis extracrt but it is in dry resin/powder form, how do i go about using pedicularis in such a form? Pedicularis might be one of my favorites of all time! I am in the Rockies and have just harvested a large number of Bracetosa that is partially gone to seed. I had some from the same patch a month ago when in flower and am impressed by the quality of the medicine. I have never, however harvested pedicularis once it has gone to seed. Any experience with this? Any suggestions? I will be experimenting with it and will let the community know! I’ve only used the Pedicularis Groenlandica variety before. I used it in tincture and also smoked it a few times for severe shoulder pain and it worked wonderful. I had a terrible car accident, and a clavicle rebuild surgery followed. In place of opiates, etc. I used pedicularis and kratom….Kratom for the first ten days, then pedicularis for any leftover muscle tension as required. From previous experience with a knee surgery, I found this herbal combination to be far superior, healthier and safer to anything the doctor or pharmacist had to offer. I’ve told several friends about it and they’ve also found relief from it. update; 2 years later. I am back in the same place in the Rockies and have found the same patch healthy and vibrant. The Bracetosa medicine is on par with the Canadensis I am accustomed to back in Southern Appalachia. It may in fact be more powerful. I collected pedicularis groenlandica here in Colorado, affectionately named “Little Elephant Heads.” I thought the 95% EtOH seemed high (considering taste) so I tinctured 1:2 (75% EtOH). We’ll see how it turns out! 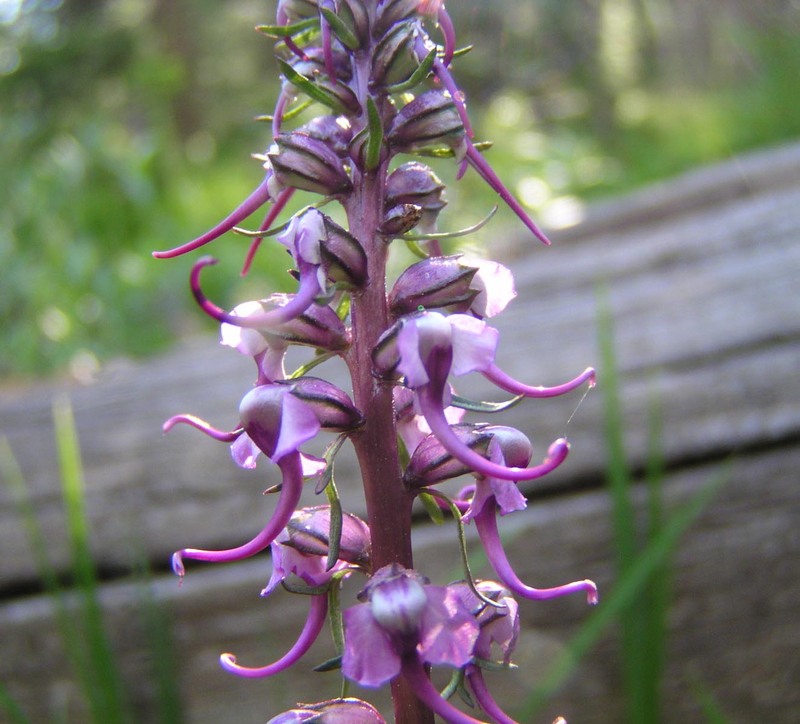 I hope your Pedicularis groenlandica tincture came out well Erica.